The mnemonic ‘I Value Xylophones Like Cows Do Milk’ may really help you. – What does C stand for in roman numerals? – How do you write 10 in Roman Numerals? 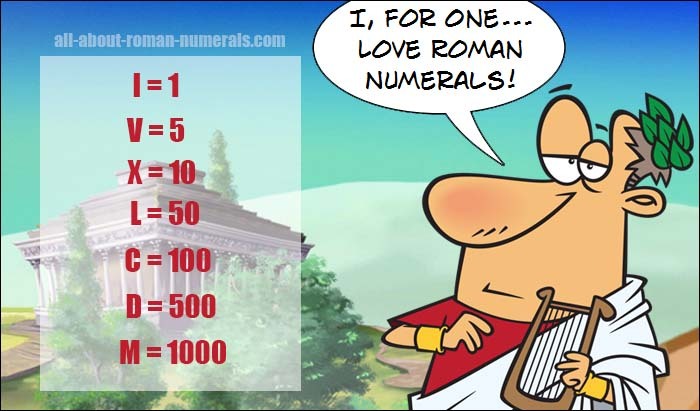 – How do you write 50 in Roman Numerals? – What is the roman numeral for 1 000? – What is one in roman numerals? When you can, ‘See It, Say It’ for each of the seven symbols it is time to move on.